Skinny Curry in a Hurry | how 'bout some cake? I spent all last week craving curry: dreaming about it, lusting for it, and eventually indulging in it- twice! Does that ever happen to you? If so, tuck this recipe in your back pocket. It’s quick, it’s healthy, and (not to toot my own horn) but it’s pretty dang delicious. 1. Start your rice. 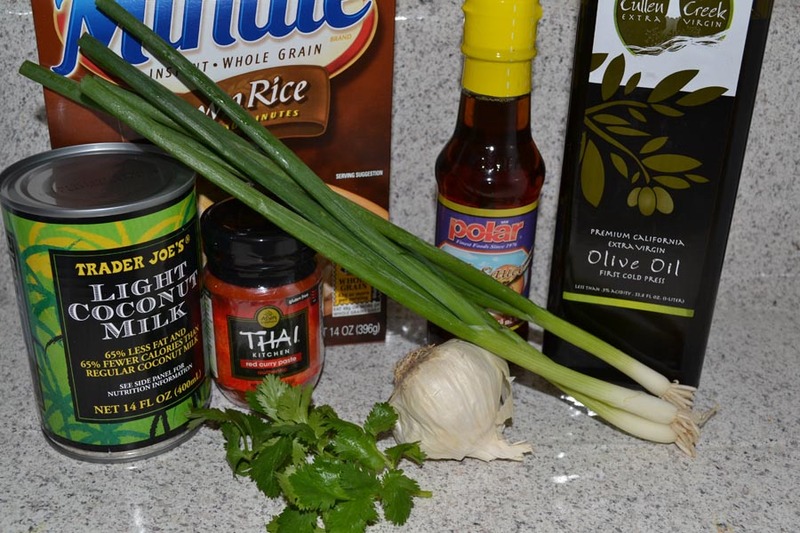 I use minute rice- it’s the only kind I can have any success with. 2. In a large nonstick skillet, heat oil on medium-high. Add scallion whites and red curry paste and sauté one minute. 3. 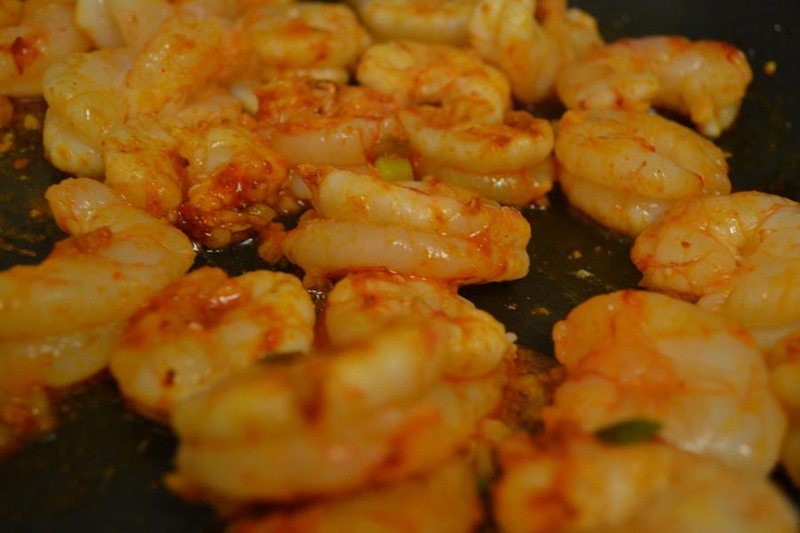 Add shrimp and garlic, season with salt and cookabout 2-3 minutes. 4. Add coconut milk, fish sauce and mix well. 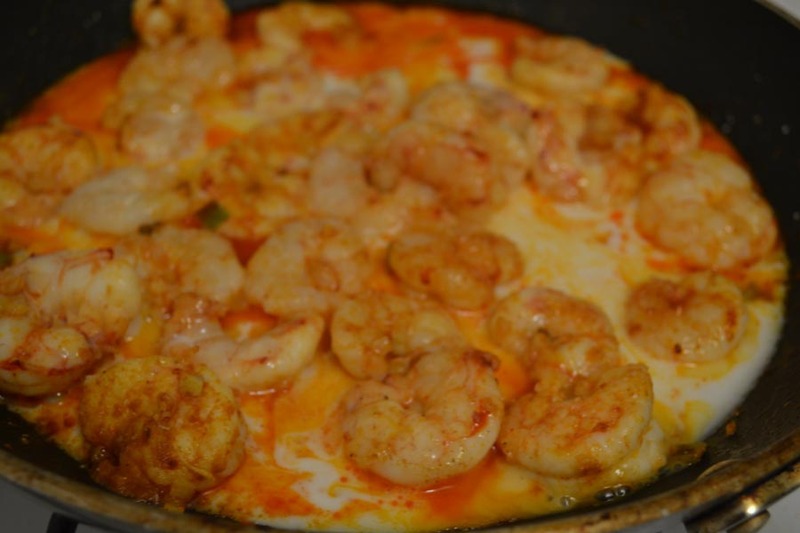 Simmer about 2-3 minutes, until shrimp is cooked through. 5. Remove from heat, mix in scallion greens and cilantro. Serve over rice. *** Don’t skimp on the curry, salt, or cilantro. Without them, the dish is a bit bland but with the right balance of each, the flavors really balance and shine! Bam! You’re done! How quick and easy was that!? Fifteen minutes top. For realisies. 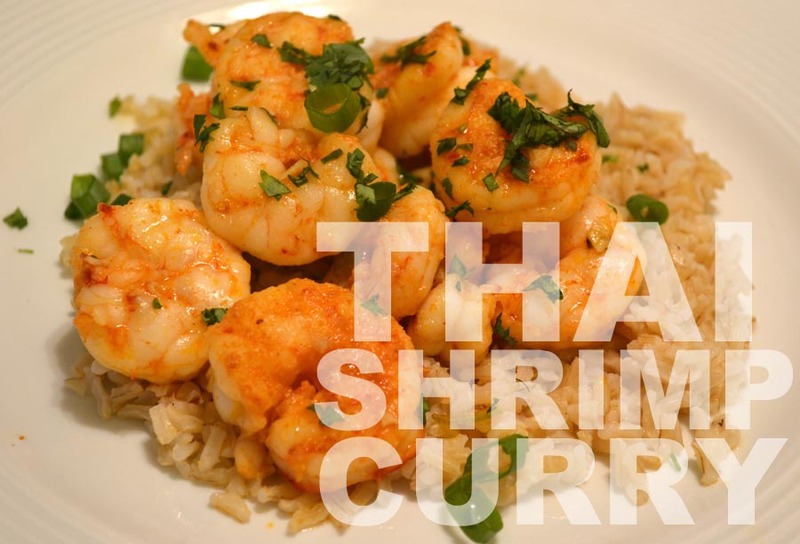 This entry was posted in Food & Recipes, Healthy meals & snacks and tagged dinner, food, healthy dinner recipe, healthy recipe, meal, recipe, Skinny Curry in a Hurry, Thai Shrimp Curry. Bookmark the permalink. I’ve never made curry but this looks pretty easy! Thanks for sharing! !